Lille’s beautiful, historic centre is a great place for a stroll, especially if it market day, and Lille certainly knows how to do markets. The Christmas market is worth travelling for and the annual summer antiques and bric a brac market is said to be the world’s largest. 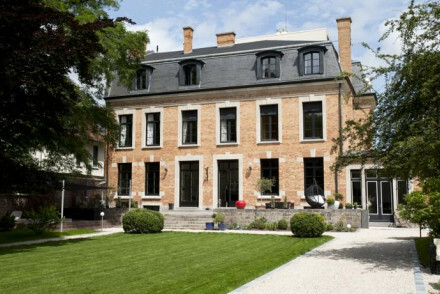 If you’re here for the markets then the best places to stay in Lille will be in the centre of town. Lille also prides itself on being friendly, and with a large student population you can imagine that it can also be a really fun city to visit. 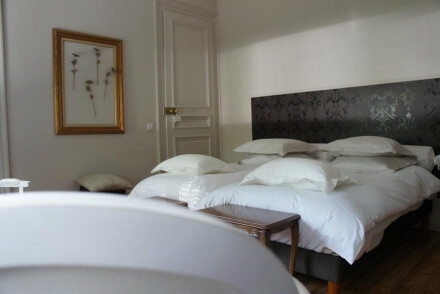 Some of the best places to stay in Lille are great value, which also helps! 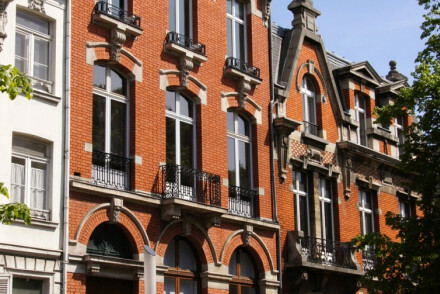 Lille has three excellent museums: the Palais des Beaux Arts, the Musée d'Art Moderne, d'Art Contemporain et d'Art Brut – LaM and the La Piscine Musée d'Art et d'Industrie. Wander around the 'Grand Place' - a stunning example of the beautiful architecture in Lille's centre. Visitors can enjoy a great selection of bars and restaurants right in the heart of the city. Admire the majestic Notre Dame de la Treille, with the stained glass windows a particular spectacle to behold. Interestingly, the building construction only finished in the past 20 years so it's really a building of contrasts. Visit the Lille Zoo, with a very reasonable entry price, it provides a great selection of animals for visitors of all budgets. Explore the Old Stock Exchange, one of the most elegant buildings in Lille. It even has a market where visitors can pick up artistic pieces or books. 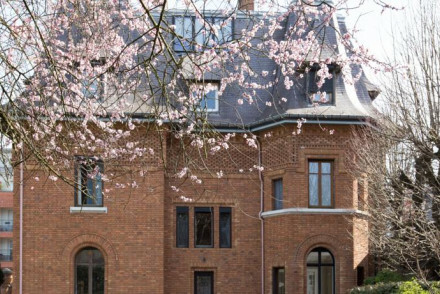 Our pick of the best places to stay in Lille are perfect for a short city break and ideally placed for exploring the city. 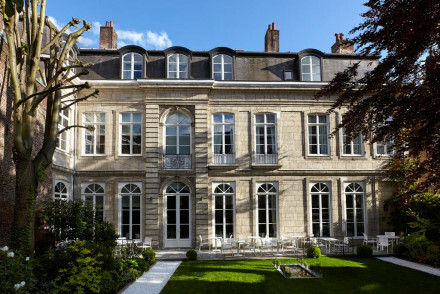 La Maison du Champlain occupies a mansion building dating from 1873, the four guest suites are modern and elegant. There’s also a spa with a sauna, jacuzzi and hammam. 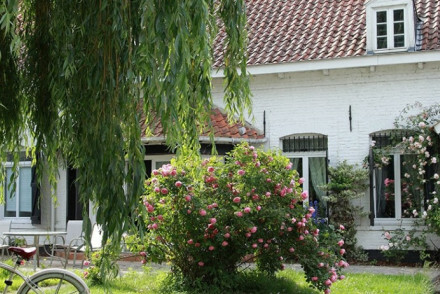 Villa Paula is a superb modern hotel near Lille brimming with chic quirkiness. The art-deco style rooms are carefully manicured and decorated with starkly contrasting black and white. Take a day trip into Lille or go in search of the famous Flanders windmills. L'Esplanade is right in the historic heart of town and has just four rooms, all with wonderful city views. You’re close to many of the main sights and plenty of restaurants. La Villa Carrée is an elegant, ten room guesthouse with large, modern suites decorated in white with pops of colour. Rooms start from around £85 per night. If you'd prefer your own space, don't hesitate to visit our online partner Booking.com for a range of properties throughout the city. Fly to Lille Airport, only 10km (6 miles) from the town centre. UK visitors may not find this the ideal option as there are no direct flights from the UK - although there are plenty European connections. Take the Eurostar to Lille from the UK, with journey times from London taking approximately 1.5 hours. Best time to visit - Lille's stunning architecture is spectacular year-round, but visitors looking to take advantage of the warmest weather are best to visit June to September.